Ever since it was announced last October, Google’s ambitious Project Andromeda has been in the news. 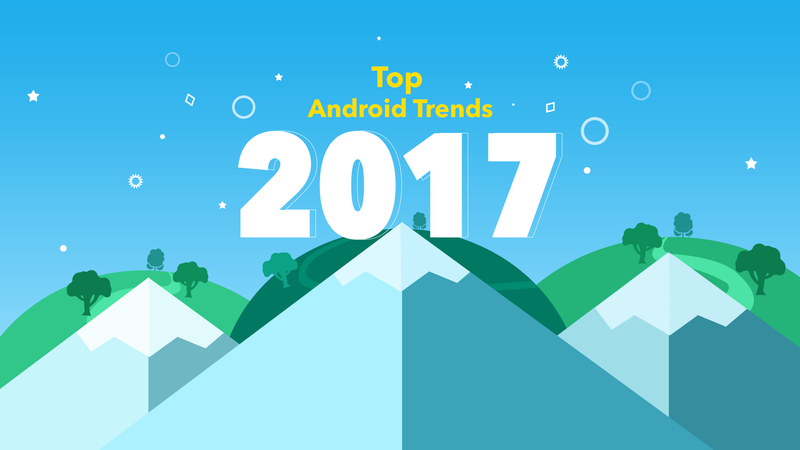 In 2017, mobile software and Android app developers fully expect the mobile platform to become available on laptops, desktops and convertible computer systems. In essence, it will be a seamless merger of Android with Chrome OS. Google can also take a cue from Microsoft and bring together mobile and desktop functionalities (just like Windows Continuum does). The biggest challenge in this context lies in the fragmented update model of Android. On the desktop platform, new updates have to be rolled out faster – and not with a two-year lag. The quality of artificial intelligence (AI) and machine-learning on Android devices has been increasing over the last few quarters. A survey conducted last year revealed that the Android AI quality stood at an impressive 93.9% – nearly 4% up from the corresponding figure in 2014. The productivity and capabilities of in-app chat bots and digital assistants should continue to go up in 2017 – while third-party app makers will be able to include custom commands to the Google Assistant (which is definitely an upgrade over Google Now). The user-friendliness of Google Play is also set to get a boost with the help of a neural network – making the task of searching for mobile apps that much easier. Swift went open-source in December 2015, and ever since then there have been rumours about the programming language becoming available to Android developers. This week, Swift University – an Italian tech school – announced a first-of-its-kind Android-oriented learning course with Swift and the Android integrated development environment (IDE). Creation of cross-platform applications and porting iOS apps onto Android will be dealt with in the course as well. Swift broke into the list of top ten programming languages for the first time in March 2017 (according to TIOBE Index) – and its use for making Android apps will help the language become even more popular. Both virtual reality (VR) and augmented reality (AR) are likely to become integral elements of high-end Android handsets this year. That, in turn, will make 4K Android phones more commonplace. Samsung Galaxy S8 and Note 8 may or may not have 4K screens – but over the next 2-3 quarters, phones with 4K displays will be launched by different OEMs (Sony Xperia Z5 Premium made the first splash in this context, with its Ultra HD screen resolution). The quality of VR in 4K phones will be outstanding and app developers will be able to deliver more immersive experience with VR-supported games. For saving battery power, users will be able to to switch off the VR mode and use the Quad HD/1080p display. The Instant Apps technology was first showcased at Google I/O 2016, and testing/rollout started earlier this year. At present, only devices upgraded to the latest Android version (Nougat) support Instant Apps – with the support likely to be extended to all handsets running on Android 4.1 and above this year. Android Instant Apps offer two-fold advantages – for end-users, it becomes easy to check out the main features of an app on devices, without having to actually download the entire thing (a fragment of the app gets downloaded). Developers, on the other hand, can benefit from the greater modularity – since Android Instant Apps require the same APIs and source codes, and separate app versions do not have to be created. A probable downside of the proliferation of Instant Apps is the lesser user-engagement with new applications. By 2020, an average smartphone-user will use, on average, 6 active connections. Internet of Things – mostly in testing for the last couple of years – will grow in a big way in 2017 and beyond, covering 50 billion connected devices by the end of this decade. In addition to home automation and smart cars, the concept of ‘smart cities’ (powered by cutting-edge technologies like Semtech’s LoRa) is also gaining traction at present. Mobile app developers, while working on Android or iOS platforms, will look for opportunities to come up with advanced, multi-featured IoT apps. The ho-hum response to Google Wallet notwithstanding, the arrival of Android Pay (along with Apple Pay) has provided a significant thrust to the volume of m-payments carried out worldwide. Experts from the field of software and app development have estimated that the value of m-transactions will inch close to the $120 billion mark by the end of 2018. This year, Google will continue in its bid to make the service integration more robust, and several new Android apps with integrated Pay support will be released (Groupon, Open Table, etc.). In a survey conducted in March, it was found that 9.7% of the respondents had made at least one transaction with Android Pay. With greater awareness, this figure will rise. Android Wear 2.0 was finally rolled out in February – and before the end of 2017, we should see several new Android smartwatches (running on the upgraded platform) hit the markets. There are considerable scopes in this segment of the market – with Apple Watch being a premium gadget, and existing Android watches not being exactly popular (the Samsung Gear 3, for instance, packs in too much functionality for its own good). Huawei Watch 2/Watch 2 Classic, Guess Connect and Misfit Vapor are some of the new Android smartwatches that should be launched in the next 2-3 quarters. With more and more personal data (health, financial, academic, etc.) being stored in smartphones – concern over app security standards is going through the roof at present. To tackle probable cases of security breaches, the Android platform will bring in more mandatory app permissions at runtime. The point-to-point interactions of a user with any Android application will be completely secure. The onus lies on Android app developers to ensure that their software complies with the existing security standards. The tussle between Google Assistant (to be expanded to beyond the Pixel phones) and Bixby – the all-new AI-based digital assistant Samsung Galaxy S8 will ship with – will be the one to watch in 2017. Bixby has run into early troubles though, and the upcoming Samsung flagship will ship without full functionality for the assistant (Bixby will not have voice support on S8), and only Bixby Vision will be present on the handset. Other OEMs are likely to follow the footsteps of Google in this context. LG, however, does have the hardware array to bring its very own AI assistant to the table. Native Google applications like YouTube and Gmail already have In-App Search, and this year – third-party app developers will embed this feature in their upcoming apps. Supported apps will include a dedicated search bar, and users will be able to search anything within an application by using a single keyword. Apart from new apps, the In-App Search functionality will also be available in updated versions of existing apps. The fact that this search capability resides within the device (and is not stored in the cloud) is an added advantage. The rip-roaring success of Pokemon Go has clearly showed that there is a demand for high-quality, location-based apps and games (both on Android and iOS). Interest in augmented reality is also on a major upswing, with more than $1 billion being invested on VR and AR by early-2016. Over the next few months, it won’t be surprising if several AR-supported, location-based applications make their way to the Play Store. In particular, Android gaming standards will get a serious boost. All eyes are currently on Google I/O 2017, scheduled to be held on 17-19 May – with various reports on the likely announcements at the annual conference already available on the web. With Google’s Pixel phones having limited appeal in Europe, a fight between Samsung and Huawei is brewing in this market. The trend of new phones with smaller bezels and more display areas (the Galaxy S8 will be bezelless) will gather more momentum this year. There will also be significant increases in the availability of apps in Google Play Store (which currently has 2.8 million+ applications). iOS might be the platform with greater revenue potential (25% of iOS developers have monthly incomes higher than $5000, as opposed to 16% Android developers) – but Android rules the roost in terms of market share. It is mighty important to keep track of the trends mentioned above, and keep an eye out for new ones.